The only thing I would add to Joanne's excellent race report is the inspiration this first-time olympic distance competitor got immediately prior to lining up on the beach for the start. I think the picture tells the story. 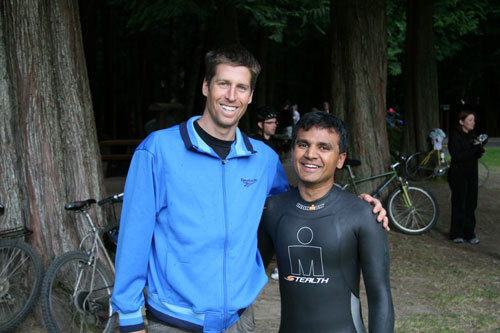 Although one of these 2 guys won some ironman world championship thingy, he can't say he is a 2006 Squamish Triathlon Finisher, like the other guy!